So many brick walls and so little time. What is it that keeps us from what we pray for? Our silent pleas to the Universe are constant, and yet nothing seems to come about. Is there anyone up there really listening, we ask ourself, and if there is, what part of my wishes aren’t they understanding! 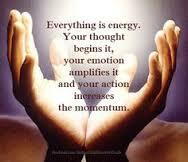 Everything we think, feel, speak and touch has a certain vibration of energy. What we wish for and what we truly and honestly want, has to have a vibrational match in it’s energy frequency. For example; you want to change careers, your current job has run it’s course and no longer holds the passion that it once did. You begin to beg the Universe to help you with this new quest. Months and months, maybe years go by and your prayers go unanswered. You decide that maybe it is not meant to be after all, and you stay in your current and less than satisfying job. The problem is, you had already planted the seed of your intention to end this career and begin a new one. That seed within you will constantly emanate yearning energy, reminding you of the intention you set so long ago, therefore you will always feel restless in your current job. When we ask the Universe for it’s assistance, it plants the seed, our work is to nurture the intention to help that tiny seed grow, if our energy doesn’t truly match what we are asking for, then the seed has nothing in which to feed from. Sure, you want a new job, you dislike your current one terribly, but what you don’t realize is you are constantly sabotaging yourself with your thoughts. You might not even be aware that this is happening, but there is something that is throwing the energy off, so it is never able to match the energy of your intention. Think about what changing careers would entail, the first word that comes to mind is ‘change’. The underlying reaction to this word sends out a negative vibration, and our thoughts begin to absorb and soak up that negativity. In the back of our minds there is a constant tape recorder playing with all of the reasons why we can’t have a new job. Money, location, extra responsibility, commitment, and of course doubt, none of this vibrational energy has the potential to grow any seed. If you want change in your life, you truly have to begin to believe that you are worthy and deserving of what you are asking the Universe for. If your initial decision, whatever it is, feels right in every way, then you have to trust that also. When you raise the vibration of your energy to all systems ‘go’ without an limiting energy, this is when your seed will begin to sprout, and then look out, Jack In The Bean Stalk and his magic seed, just showed up.